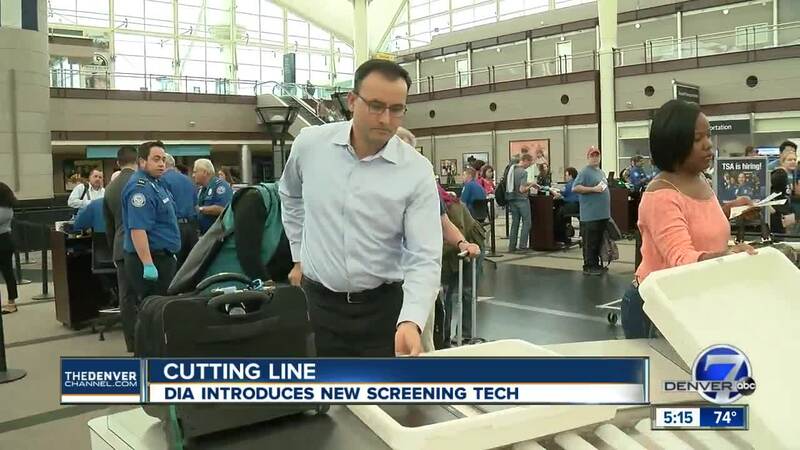 DENVER — Denver International Airport and the Transportation Security Administration are debuting a new type of screening technology at the north security screening checkpoint Friday morning. The automated security lanes enable multiple passengers to simultaneously put their items into bins and run them through the x-ray machine. Unlike the current system, where you have to wait in line behind the person in front of you, the new lanes allow you to move up to an open spot, place your items in a bin, and place the bin on an automated conveyor belt. On Friday morning, many travelers were curious about the new lane. Some had used them in other airports. “We just went through these lanes in Frankfurt, Germany, and it worked perfectly,” said passenger Paul Jelnicker. The demonstration lane will be in use as of Friday, but the system won’t become fully operational at DIA until the Great Hall renovation is completed by the fall of 2020. At that time, security checkpoints and screening will be moved to level 6. 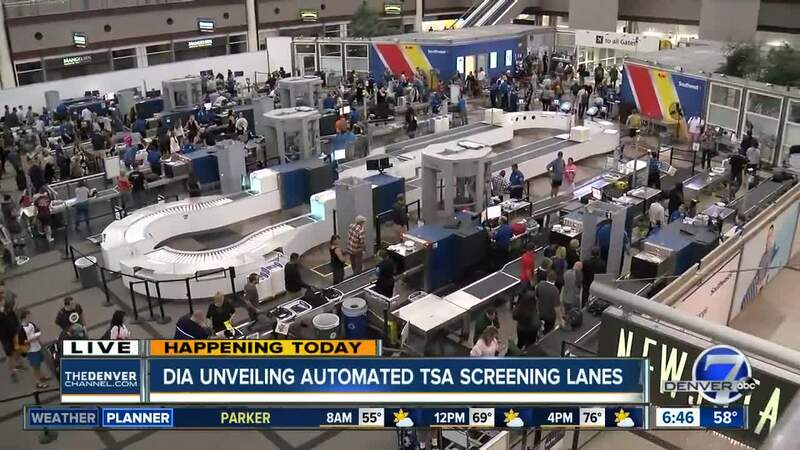 DIA says the automated lanes include several upgraded features, like stainless steel countertops, larger bins, automatic diversion of carry-on bags with prohibited items, and a conveyor belt that returns bins to the front of the checkpoint.